Indonesia is a fabulous country, so much colour, a must see. A visit to Tana Toraja in South Sulawesi Province will not only feel like you’ve stepped far back in time, but also offers a look at the richness and diversity of Indonesia’s long-standing cultures. The architectural style of Tongkonan, boat-shaped houses and other buildings, are immediate standouts, but the people are what make this piece of natural paradise so special. They are, by many accounts, the friendliest and most welcoming people you could hope to meet while traveling. The Toraja approach to death is one of reverence and celebration. Funerals are elaborate ceremonies involving plenty of food and traditional dance, and the dead are buried in graves built into surrounding caves. Travelers to the area can visit villages and connect with locals, or trek in the notoriously lush and pristine countryside. Home to the world’s friendliest and most creative people, Ubud also has some amazing natural beauties, including the famous Tegalalang rice terrace. A cultural and educational hub in tropical Bali, tourists can visit museums, temples, sign up for craft workshops, and more. See more on Tempat Wisata. Perched among stunning terraced rice fields, Ubud is considered the cultural heart of Bali and one of the top tourist attractions in Indonesia. There are dance and music performances every day throughout the city as well as numerous art galleries and craft shops to explore. Although Ubud has long been valued as a great place to learn about Balinese culture, tourism in Ubud boomed exponentially in the last decades. Fortunately, it only takes a short walk or bicycle ride to escape from the crowds and commercialism. This 9th century temple is an Indonesia UNESCO Heritage site located in the heart of Java. It is one of the largest Buddhist temple in the world, consisting of six square platforms with 2,672 relief panels and 504 Buddha status. Thousands of Buddhists does their pilgrimage here in Borobudur during Waisak day. This Buddhist temple is one of its kind, setting itself apart from the rest of Asia’s Buddhist temple with unique structures and carvings. Try to get in during the earliest opening time at 8am to catch the temple at the most serene to fully appreciate the beauty of it. It is also recommended to stay at Manohara Resort * and take the Borobudur sunrise tour exclusively from them. 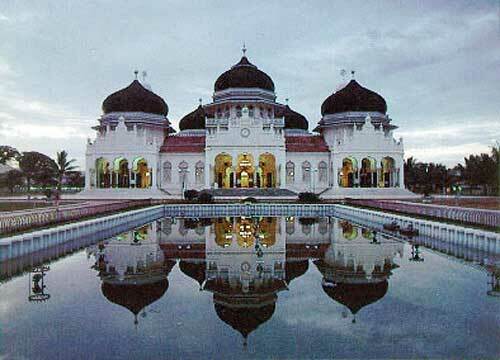 Read extra info on Indonesia tourist attractions. Blanco Renaissance Museum, Ubud- This landmark museum in Ubud is the cultural focus of Ubud, and houses a vast collection of paintings, books, illustrations, collages and lithographic Balinese artworks, making it an interesting place to visit. Saraswati Temple Ubud- High in spirituality and rich in ornate architectural intricacies, the Saraswati Temple in Ubud is reached by crossing a beautiful lotus pond standing in the midst of lush greenery. It makes for a lovely stopover on an afternoon stroll. Shell Museum- Revel in the unique beauty of hundreds upon thousands of shells from all over the world that are encased in the halls of the Shell Museum in Kuta. Gunung Payung Beach- Being low on the tourist radar means that visitors to the Gunung Payung Beach can easily enjoy the peace and solitude that it offers while admiring its startling beauty.